Playing MinecraftEdu is a growing phenomenon in Delaware libraries. More and more libraries are offering public programs featuring MinecraftEdu, which is actually a modification, or “mod” of the commercially available Minecraft. * MinecraftEdu is a game in which players build things out of 3-dimensional blocks. Each block can be selected from a multitude of material including various kinds of rock, water, lava, livestock even furniture and kitchen appliances. Entire infographics are dedicated to the choices available. Players are able to create their own worlds in which they design and build houses, buildings, libraries … pretty much anything. The Division of Libraries is currently running ten parallel worlds, each of which is persistent, with each one capable of hosting up to 100 concurrent users. We have a statewide deployment with every public library being able to interact with each other, and as each library develops its MinecraftEdu program we are ready and capable of changing the worlds to suit their needs up to, and including, their own worlds. We are very powerful. What happens during a MinecraftEdu program? I took the liberty to crash some MinecraftEdu programs in progress (I’m a bit over the recommended age limit). The Inspiration Space at the Dover Public Library was full of “tweens” sitting in pairs before their assigned computers, working together in earnest to create some kind of virtual structure. 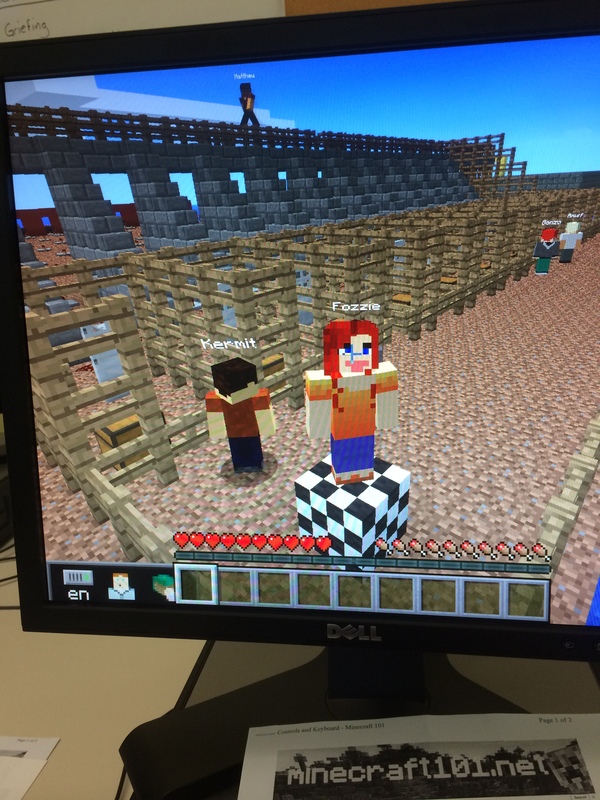 They were logged into “Creative mode,” which for our purposes means the administrator of the program is able to pre-determine the scenario, determine the challenge, and provide each team the necessary building material. You can imagine how MinecraftEdu has gained so much attention from educators. These kids are challenged to envision and create a virtual world or aspects thereof in which their imagination is totally free of physical laws and life size constraints. Even more so, kids are able to experience the big “F” – failure. Failure in the virtual world of MinecraftEdu is completely safe. Kids learn from their mistakes and know they can pick up the pieces and begin anew to build something even better. What is the potential in Delaware libraries? There is a ton of potential programming Delaware libraries plan to introduce in the coming months. For starters, remember I mentioned statewide deployment? You know what that means, a Statewide MinecraftEdu tournament. Patrons will be able to build and collaborate with follow Delawareans from across the state. Patrons in the Frankford Public Library can play with those from the libraries in Bear, Dover, Wilmington, Seaford and Lewes at the same time! Additional library programming may include the design of alternative controllers made with Raspberry Pi or MaKey MaKey. With some creative motivation, patrons will be able to create their own animated videos, similar to popular remake of “The Fox (What does the Fox Say)” that erupted on YouTube last autumn. Perhaps a little further on the horizon we can offer computer programming in Java where patrons can program their own mods straight into the MinecraftEdu code! Imagine the possibilities!! 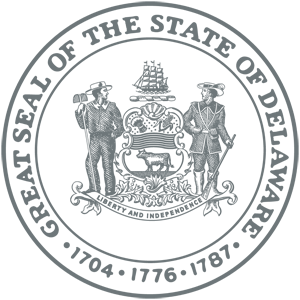 * MinecraftEdu is developed by TeacherGaming and supported by Mojang (the company that created Minecraft). Basically, educators recognized the potential learning and social impact that could be found through Minecraft play, modified the game to match their needs in an educational setting, and voila! MinecraftEdu was born and is now used to teach STEM subjects as well as language, history and art. With enough imagination, almost any subject could be taught through using this game as a virtual platform.